Australia’s Climate Change Authority released its Renewable Energy Target (RET) issues paper for industry and public comment yesterday. The paper heralds the beginning of the Authority’s statutory review of the Australian Government’s renewable energy scheme; to be completed by 31 December 2012. “The review is principally concerned with testing whether the scheme is operating efficiently and effectively in the national interest,” said Chair of the Climate Change Authority, Bernie Fraser. The issues paper looks at the history of both elements of the RET – the Large scale Renewable Energy Target (LRET) and the Small-scale Renewable Energy Scheme (SRES) and how both have impacted on renewable energy generation and electricity prices. The paper notes electricity generation from wind and solar photovoltaic (PV) has increased significantly from low bases, with average annual growth over the last five years of 40.2 per cent and 25.2 per cent respectively. “We are aware that many investment decisions hinge on the scheme’s design, and the Authority will also carefully consider the impact of any possible changes. Submissions from stakeholders will be an important source of information for the Authority in its deliberations,” said Mr. Fraser. The Authority is inviting public submissions in response to the issues paper by 14 September 2012. A discussion paper will be released in October this year, followed by consultation with stakeholders. A final report to the Climate Change Minister will be released by 31 December 2012. The RET was first established in 2000 as the Mandatory Renewable Energy Target (MRET). The MRET was a certificate-based scheme based on annual gigawatt hour targets reaching 9500 GWh in 2010 and maintained until 2020. 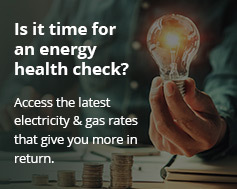 In 2009, the national RET was expanded by nearly five times to include a target of 45,000 GWh in 2020 as part of the Commonwealth Government’s policy commitment that at least 20 per cent of Australia’s electricity originated from renewable energy sources by 2020. Download the Issues Paper (PDF 2.4 MB).